Above: Fans wondered why no uniform patch or official tribute for Paul Blair, a veteran of two Orioles World Series wins? Last December 26, the Orioles lost the greatest centerfielder in the history of the franchise. Paul Blair collapsed at a celebrity bowling tournament in Pikesville and was pronounced dead at Sinai Hospital from a heart attack at the age of 69. When he heard the news, local writer Rafael Alvarez recalls, he thought to himself, “The Orioles will have a patch on their jersey, just like they did for Earl Weaver.” For whatever reason, it never happened. “There should have been a patch for Blair,” he said. As the Orioles continue their mesmerizing hunt for an orange-and-black October this season, the team wears a patch for military thriller author and part owner Tom Clancy, who passed away last October. But the only evidence of Blair’s memory is the number “6” stitched on the back of second baseman Jonathan Schoop’s jersey. Blair’s number was also worn in years past by Melvin Mora and Larry Harlow. Taking matters into their own hands, Alvarez and Baltimore baseball writer Charlie Vascellaro have organized a fan-based movement to honor Blair at an upcoming game. “Paul Blair Day at Camden Yards” will be held on Friday, September 12, when the Orioles play the Yankees in a double-header. Alvarez and Vascellaro will also launch a website, eightgoldgloves.com for fans to share their memories. For now, the comments are flowing into Alvarez’s Facebook page. That’s pretty good company. The current O’s gold glove centerfielder Adam Jones definitely can flash the leather and hit home runs, but he still has a ways to go before surpassing Blair. 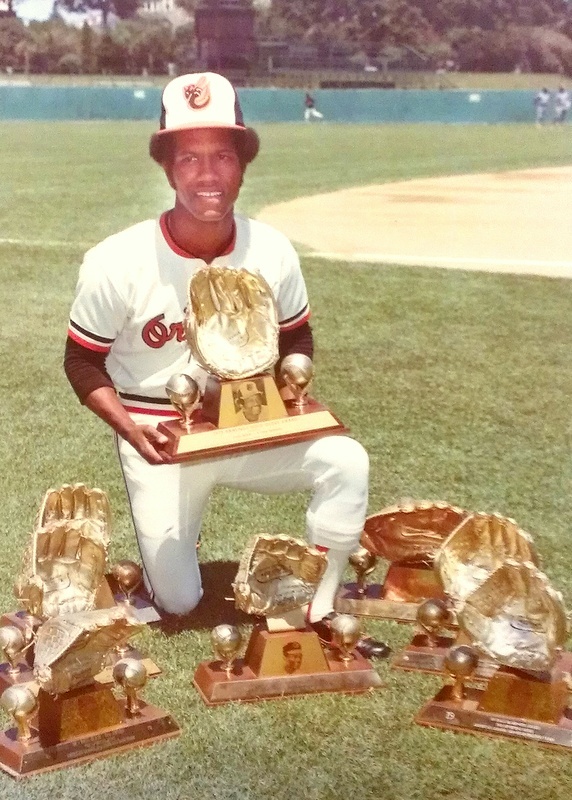 Paul Blair personified The Oriole Way, winning eight gold gloves and playing in four World Series as a Bird. He won two world championships in Baltimore and covered a lot of ground in the outfield. He played a shallow centerfield, daring batters to hit the ball over his head. Against the Dodgers in the 1966 World Series, Blair hit a homerun in Game 3 to account for the only run and leapt high above the fence in Game 4 to rob Jim Lefebvre of a homerun in the eighth inning that would have tied the game. He played 12 years in Baltimore and played an integral role in the 1970 World Series victory – tying Brooks Robinson with nine hits, a record for a five game series. Paul Blair is remembered outside of the city as well. Fans now aren’t letting the organization’s apparent lapse stand in the way of a hearty tribute. Alvarez said he got the idea for the homemade signs after he read a story about an 8-year old boy and his grandmother on Northwood Drive who together made a sign that read, “Yankees Beware, Here Comes Paul Blair” before an Oriole-Yankee game in the early 70s. I was that kid. I wrote that story. Nana also made me an Oriole uniform and we ironed an orange number “6” and “Blair” in black on the back. I wanted to be Paul Blair. 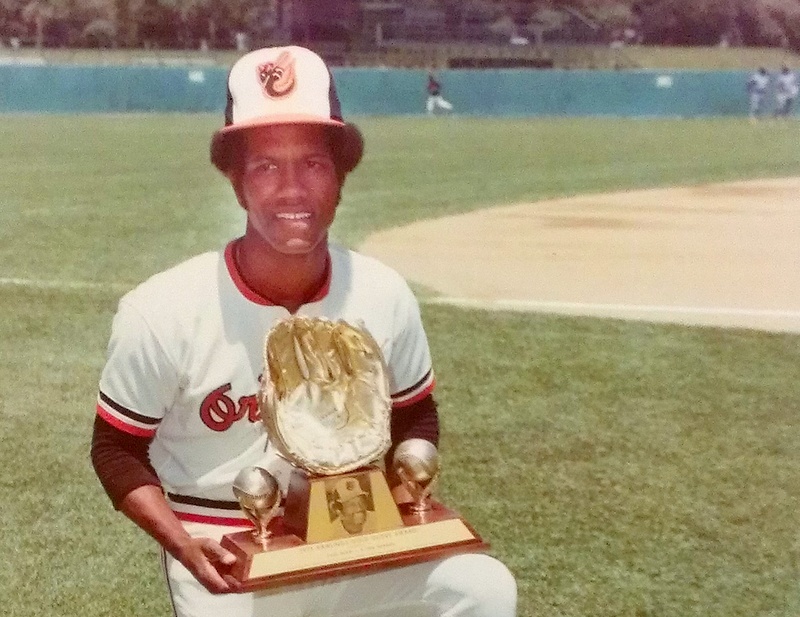 He had a style and a swagger that Brooks Robinson, Jim Palmer and Frank Robinson didn’t have. I spent summer days in the back alley copying the graceful way he caught fly balls and threw them sidearm fashion back to the infield. I mimicked how he slowly caressed the air with his bat, then suddenly unleashing a furious swing that sprayed line drives. I met Paul Blair a few years ago at an event for Brooks Robinson at the Meyerhoff. Blair and the late Earl Weaver were holding court in a corner. Blair’s son Kevin said that his dad wouldn’t have wanted to play professional baseball in the current era. “He didn’t care about the money. He was playing for Brooks, Frank and the team. They were playing for each other. They made sacrifices to win championships,” Kevin Blair said. He said his father was also keenly aware of another responsibility as well. “It was important to my dad to be a black player in the 60s and 70s – to be a role model,” he said. Kevin Blair misses his father and still sometimes reaches for the phone to call him and then realizes that he’s gone. He’s supportive of the upcoming celebration but is still grappling with life without his father. He said he is not concerned that there isn’t a “6”on the sleeves this year. Kevin Blair said it’s a fitting way to honor his father’s memory.